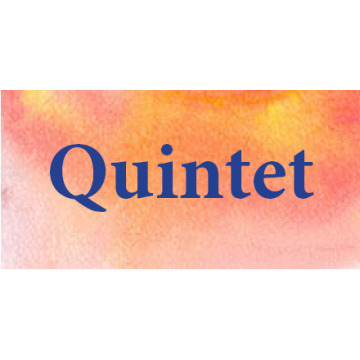 Quintets There are 72 products. 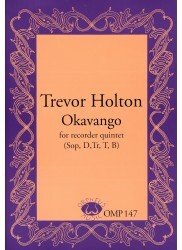 Orpheus Music Publications offers contemporary Australian music ideal for recorder quintets looking for something a bit different. 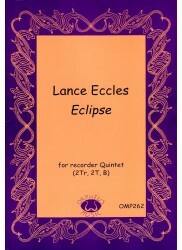 Music ranges from beginner and intermediate consorts to professional and advanced repertoire ideal for concerts. 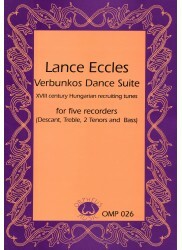 Find any arrangement to suit your recorder ensemble's needs such as two sopranos/descant, treble/atlto, tenor bass (SSATB); descant, two trebles, tenor, bass (SAATB) and many more variations of recorder sized arrangements! Explore the recorder music of Australian composers who have composed for recorder quintets like Lance Eccles, Trevor Holton, Tony Lewis, Elisabeth Middleton, Nicholas Ng and many more! *Contemporary Piece* in three movements. 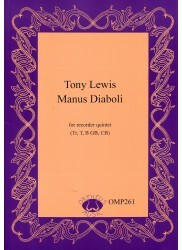 Interesting set of character pieces with a little bit of chromaticism. 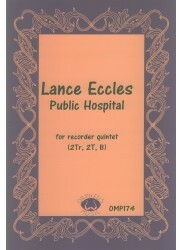 *Contemporary Australian Compositions* for recorder quintet. *Contemporary Piece. 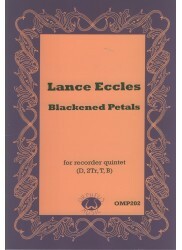 * Three evocative movements. First movement makes interesting use of cross rhythms; second is calm and static while the third is a lively jaunt in 12/8. *Folksongs. 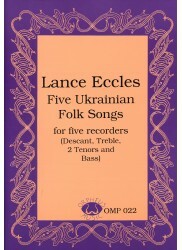 * Lively and fun settings of Ukrainian folk songs. Very attractive melodies and clever arrangements. *Contemporary Piece. * 18th century Hungarian recruiting tunes. 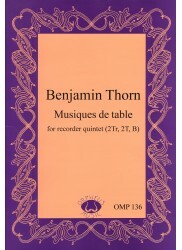 Lively rhythmical sections join together in a single composition. 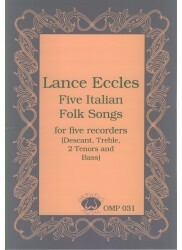 *Five Folksongs. * Approachable settings of Italian folk songs. *Contemporary Piece. 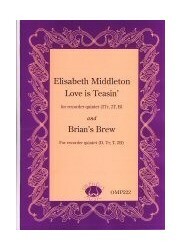 * More witty and melodic pieces with a satirical bent. *Contemporary Pieces. * Three fantasies based on plain song with its characteristic modality and flexible metre and some very satisfying sonorities. *Contemporary Piece. * Three nicely dissonant character pieces. *Contemporary Australian Composition* for recorder quintet. *Contemporary Piece. * Three attractive and melodic pieces. *Folksongs. * Four revolutionary folk songs from north west China. 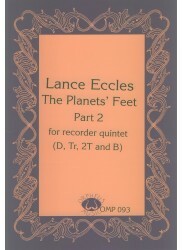 Interesting melodies and arrangements. Some use of quarter tines and inflexions. *Contemporary Piece. 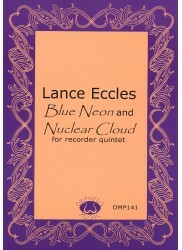 * Blue Neon (D, Tr, 2T B) is a funky jazzy little number while Nuclear Cloud (D, 2Tr, T B) is an atmospheric piece with some piquant harmonies. 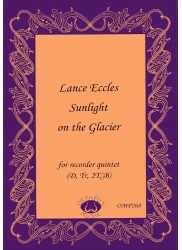 *Two Contemporary Works* for recorder quintet. *Contemporary Piece. 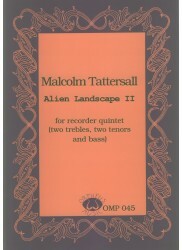 * African inspired piece with exciting polymetrical ostinato. *Contemporary Pieces. 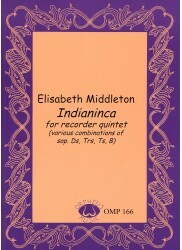 * Fun, gutsy and sometimes whimsical arrangements of three native melodies from the Americas. *Contemporary Piece. Mystical piece with oriental influences and some interesting timbral variety. 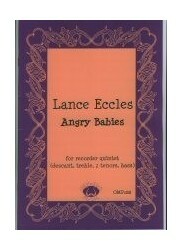 Some changing of recorders. *Contemporary Pieces. * Three of Ortiz recercadas (variations over ground basses) have been extended and arranged for quintet. *Contemporary Pieces. * Three more of Ortiz~~~~~ recercadas have been extended and arranged for quintet. 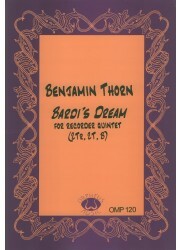 *Jazzy Contemporary Composition* which could be played in a swing style. Features some syncopation. *Contemporary Piece. * Atmospheric and evocative with some contemporary techniques. 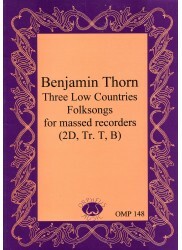 *Three Folksongs. 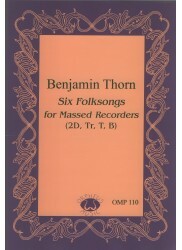 * Attractive Flemish and Dutch folksongs designed for large (or small) groups of mixed ability with first descant part using only five notes. *Folksongs. * Lively and popular set of pieces from Ireland Holland and Canada designed for large (or small) groups of mixed ability with first descant part using only five notes. 1. Come and dance with me! *Christmas Carols. 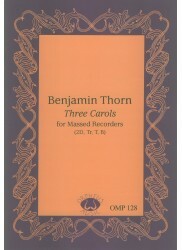 * Three carols from the USA and Spain designed for large (or small) groups of mixed ability with first descant part using only five notes. *Contemporary Pieces. 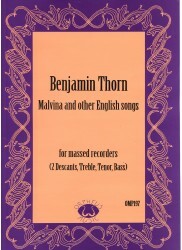 * Three English Folksongs in attractive arrangements. First descant part uses five notes. *Contemporary Pieces. * Attractive set of three pieces with some lively rhythms and vocalisations in the second. *Contemporary Piece. * Fun character pieces using varied textures, pointillism and some singing into the recorder.